* Initial copies (10,000) packaged as a double CD with "Loads more" bonus remix CD. Matrix number of 1st CD is same as catalogue number for normal release. Matrix number of 2nd CD is 850 029-2. ** Originally titled "Bob's Yer Tune". Perfecto designations are also new. Notes: 63-track promo box version contained 4 CDs and one double-CD set: "Pills 'n' Thrills And Bellyaches", "Yes Please! 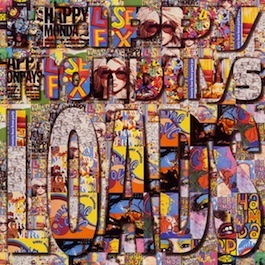 ", "Squirrel And G-Man Twenty Four Hour Party People", "Bummed" and "Loads + Loads More" (2xCD), housed in 6" x 8" x 2" multi-coloured box w/ "Loads" artwork.